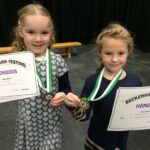 Senior School and Junior School pupils reaped the rewards of their hard work in their LAMDA classes on Saturday 18 November, when they performed at the annual Beckenham Festival of Speech and Drama in the Westwood Theatre. Highly experienced adjudicator and LAMDA examiner Marcia Carr was delighted to award 1st place and two Gold Medals to year 7 students Lyla Waller and Ava Wood for their entertaining portrayal of the Ugly Sisters in ‘The Glass Slipper’. Year 7 pupils took part for the first time and each received marks well into the 80’s. Presenting their work with conviction and focus, the girls all received certificates. Lucy Johnson gave a powerful performance of the Wicked Queen, delighting the audience. 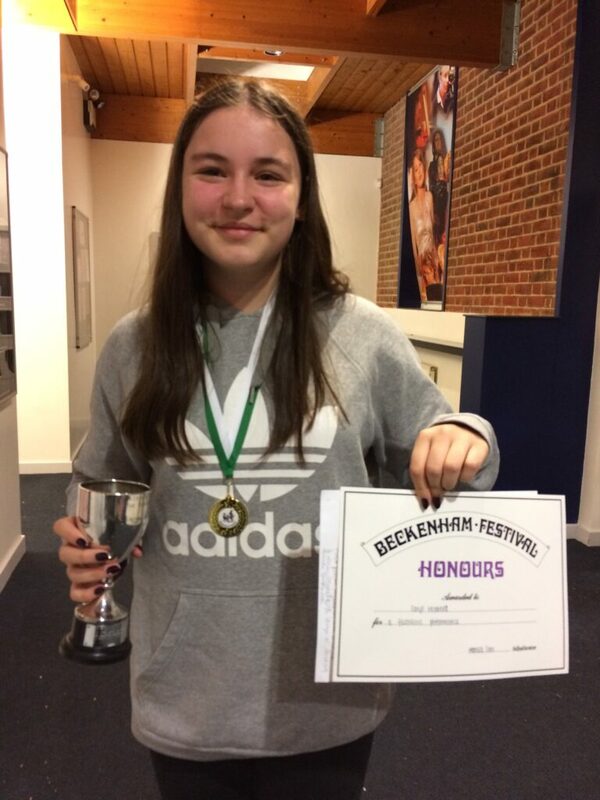 Carys Hibberd (year 10) faced her stage fright head on, gaining high praise from the adjudicator, along with 1st place, a Gold Medal and a trophy for her performance as Katerina from ‘The Storm’ by Alexander Ostrovsky. 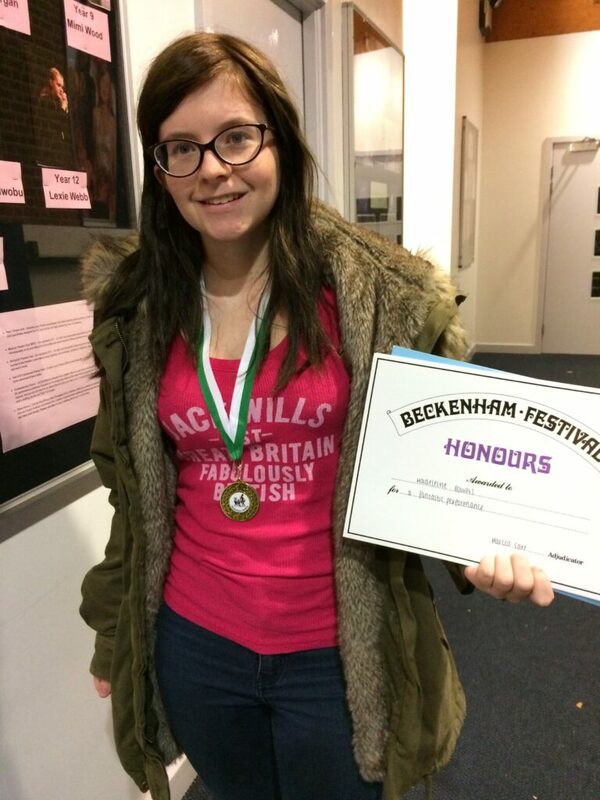 Madeleine Gowers (year 12) impressed with a scene from ‘The Lower Depths’ by Maxim Gorky, gaining the Gold Medal and 1st place for Senior Acting. This success was mirrored in the Junior categories. Reciting the poems ‘Cats’ by Eleanor Farjeon and ‘Mice’ by Rose Fyleman, year 1 pupils also delighted the audience with their well projected voices and humour. Saskia Shergold gave a clear and strong performance, with Harriet Walker achieving 1st place and Gold Medal and Orla Hogwood receiving Third place and Bronze Medal. 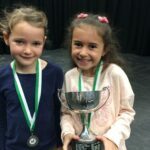 The poetry class for years 2 and 3 had no less than 50 entrants from different schools, yet Annam Karim beat off the stiff competition to win the Gold Medal and large trophy for the second year running, for her poem, ‘Daddy fell Into The Pond’, by Alfred Noyes! Carmen Layton, also in the class of 50 entrants, which included some very talented competitors, gave a memorable and confident performance to a full house, scooping the Silver Medal and 2nd place, a huge achievement for her first ever performance there. Liberty Bowden and Rosy Russell (year 6), performing a convincing scene from ‘Little Women’ by Louisa M Alcott, won 2nd place and Silver Medals, whilst Isobel Lamont and Cerys Marks, along with Zara Turner and Darcey Hill, took joint 3rd place and Bronze medals, for their hilarious portrayals of the Bridesmaids and Ugly Sisters respectively! 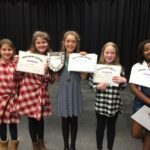 In the Solo Acting category, year 6 students all shone. Isabella Dutton and Elsie Mills gave moving performances of ‘All I Want Is Scruffy Back’, whilst Polly Rigby and Nyama Swaray were extremely convincing as Hansel in a scene from ‘Gingerbread’. Hillie Stubbs created Alice at the Mad Hatter’s Tea Party for us and Daisy Patton’s American accent was clear and faultless in her scene: ‘Molly’. Marnie Ugo Evans performed a complex scene from ‘Lorna Doone’, which captured the audience’s attention with her excellent use of pause and facial expression. Against stiff competition, Marnie won 1st place for the second year in a row, winning both the Gold Medal and Junior Drama Shield! All candidates gained certificates and marks well into the 80’s and should feel very proud.